The Washington Department of Fish and Wildlife (DFW) is funded by the state Legislature every two years to manage, among other things, our state’s fisheries. In the last budget cycle, DFW received nearly $376 million in federal, state and local funding. Nearly $71 million came from the sale of recreational fishing licenses and excise taxes on fishing tackle, or about 19 percent of DFW’s total budget. The smallest contribution – $1.5 million – or less than one-half of one percent of DFW’s budget came from commercial fishing interests. In 1974, Federal Judge George Boldt upheld treaty fishing rights, in what is known as the “Boldt Decision,” allocating 50 percent of the annual catch to Native American treaty tribes. The remaining 50 percent of the harvest is split between recreational fishing enthusiasts and commercial fishermen using gill and seine nets. State policies have given the advantage to non-tribal commercial gillnet fisheries on the lower Columbia River, allowing them to harvest two-and-a-half times more salmon than recreational fishers. The disparity is even worse in Willapa Bay as recreational fisheries are constrained, but non-tribal commercial gillnet fisheries are free to harvest 93 percent of available salmon, even though recreational fishers contribute vastly more income to our state’s economy and to DFW’s budget than commercial interests. More troubling is the preferential treatment given to commercial fishing over recreational fishing in the form of priority seasons set by DFW. For decades, recreational anglers have been treated as a nuisance at DFW, while preferred timing and seasons have been reserved for commercial interests. This has limited recreational fishing opportunities, as well as additional license revenue and economic value that could be flowing to the state from sport fisheries. The economic impact of the recreational sport fishing industry far outpaces commercial fishing. In Willapa Bay, recreational fishing generates three-and-a-half times more economic value than the commercial fishery, despite catching only 7 percent of the fish. A federal study pegged the annual economic value of Columbia River recreational fisheries at $36 million, but credited only $2.1 million to non-tribal commercial fisheries. Locally, in the 18th Legislative District, 13,500 recreational fishing licenses are sold each year along with 10,000 Columbia River salmon endorsements. Just two other legislative districts in the state sell more Columbia River salmon endorsements than our district. Recreational anglers don't just buy fishing licenses. They buy fishing tackle, bait, and large items, such as fishing boats, trailers and trucks to pull their vessels to and from their favorite fishing spots. They buy gas, snacks and beverages to consume while they are waiting for the fish to bite. They buy smokers, grills and freezers. Despite DFW's restrictions, recreational fishing contributes hundreds of millions of dollars to our state's economy each year with much of it flowing to Washington’s rural communities. Overall, recreational fishing is a $1 billion industry in Washington. We believe this could blossom into a much larger industry with economic benefits for Washington and the state’s general fund through a change of policies and priorities. That’s why we have introduced House Bill 1660. The bill would transform Washington into a world-class fishing destination by providing parity to recreational fishing enthusiasts and ensuring fishing opportunities are consistent with user groups’ economic contributions. Let's face it, sport fishing tourists will spend their money in the most desirable and competitive locations, whether here in Washington or other states or countries. Why should we let DFW constraints send sport fishing tourists elsewhere when we can attract those dollars here? Let's work together and pass HB 1660 to transform Washington's recreational fishing into a multi-billion dollar industry, improve our fragile rural economies still struggling from the Great Recession, and ensure DFW begins serving its primary customer and source of revenue. Contact your Washington state legislators at 1-800-562-6000 and urge them to support HB 1660. 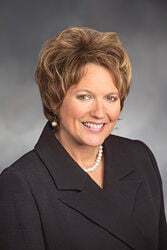 Rep. Liz Pike, R-Camas, serves the 18th Legislative District. Bryan Irwin is the Coastal Conservation Association’s former executive director. Dave Patterson is a recreational fishing enthusiast from Camas. Editor’s note – The following Op-ed column was published in the Feb. 18 edition of The Reflector but a key portion of the content was omitted due to error. The Reflector regrets the error and is publishing the column once again.